Woody’s taxis provides Taxi Services in North Berwick. With a fleet of 4, 6, 8 and 16 seat vehicles as well as wheelchair accessible cars and buses. We can provide transport for any occasion. Our base in Berwick upon Tweed gives us the perfect focus on taxi services in North Northumberland and the Anglo Scottish Borders. 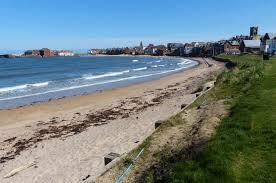 North Berwick is in our area and we are frequently picking up and dropping of there. Our drivers are fully trained to help with luggage, pushchairs and wheelchairs giving you the peace of mind you will arrive at your destination safely. Woodys Taxi’s has no limits on our destination and you can book a taxi to take you anywhere (24 hours notice is advised for longer journeys). Our taxis are often seen in North Berwick so please feel free to speak to one of our drivers who will advise you on your journey requirements.